A catalogue has been created to organize and categorize the revenue stamps of Puerto Rico issued under U.S. administration. The effort was started in September of last year and, thus far, has received positive reviews. However, more reviews and insights are needed from collectors to help fill in some of the gaps that are either incomplete or missing altogether. 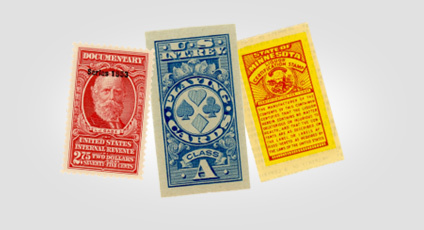 For background, I have been actively collecting U.S. revenue stamps since the mid-1980’s. I avidly pursue non-catalogued varieties and have added many new listings to the revenue section of the Scott Specialized Catalogue. Approximately 10 years ago, I started to collect the Puerto Rico Rectified Spirits revenues as I thought that, except for one variety, completion was possible. Then I discovered that there was a vast group of handstamped provisional issues as well, and the chase was on. In my pursuit of the provisional issues, I obtained a modest collection of possessions revenues (both U.S. and Spanish) in 2012. Included in the collection was a large group of revenues from Puerto Rico that I had never seen before. 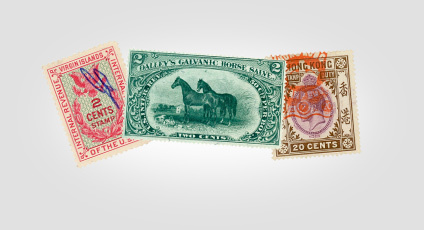 They appeared to resemble U.S. revenue stamps with the exception that many had a Spanish twist. Fortunately for me, the previous owner had notes mentioning a catalogue by Charles Chabot. After purchasing a section of the Chabot catalogue referencing Puerto Rico revenues, I made the decision that the pursuit of these revenues might be fun. How hard could this be? It has been, in no uncertain terms, a learning experience. I had to take several crash courses in U.S. Taxpaids including how to differentiate paper colors and the surcharges of 1917 and 1918. I also had to comprehend just what a “Collegio de Abogados” was and why did they have stamps. My experience with the Chabot catalogue turned out to be woefully inadequate. While it helped me initially organize my additional acquisitions, there were too many instances where I was saying to myself “that’s odd” where I would find something that was similar to what was in the Chabot catalogue but was somehow different. Even worse, there were too many instances where I was not even certain whether a particular stamp was even a Puerto Rico revenue stamp. At the APS StampShow held in Columbus, Ohio, last August, I was again voicing my exasperation of trying to get a handle on my Puerto Rico revenue collection to the revenue dealer Eric Jackson when he mentioned again (he had mentioned it for the last couple of years but I simply was not listening) that I should produce a catalogue. Fortunately, there were also a few collectors at the show who were willing to assist my effort by sending me scans of their collections for me to study and integrate into the catalogue. I took my first draft to CHICAGOPEX in November and presented it to Eric. He thought that it was an excellent start and said that I should continue. Additional collectors have volunteered scans of their collections for further study. I have reorganized the Chabot catalogue and broken the new catalogue into the broad sections of Documentary, Tobacco, Alcohol, Miscellaneous (Digital Stamps and Meters), Association / Trade, Municipals and Essays/Proofs/Specimens. There are currently over 200 pages of listings including scans. I have tried to put emphasis into areas where I found myself having the most difficulty in trying to organize my holdings. I have included an abundance of scans of stamps that have been difficult to understand or were rarely seen in my past decade of collecting these issues. Much more work still needs to be done. Dates of issue, along with, at time, the proper sequencing of issues, has proven to be difficult. Rarely do the stamps have a date as part of the cancel. In addition, fiscal history for many of the issues may simply not exist. When possible, dates of earliest documented usage is given with a ‘?’. Documentary stamps with the “SPECIAL TAX” overprint and additional specific purpose overprints are listed. 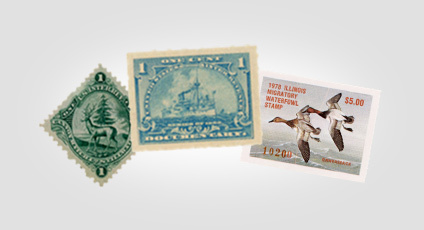 However, while the stamps were printed, distributed and likely used, none may exist in collectors’ hands. The question remains whether to list the stamps with the possibility that they exist or to list only those observed and footnote the list of remaining possible values. Likewise, the stamps related to Tobacco products are likely to only have scratched the surface. Many additional values as well as additional types not listed are likely to exist. Stamps for Distilled Spirits and Wine issued during the 1960’s and 1970’s were issued with and without watermarks. 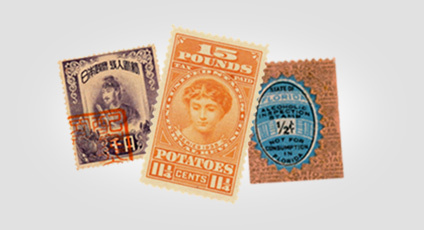 Scans of several collections have been viewed, but it is impossible to determine whether a stamp is watermarked. Help is needed to determine which varieties are watermarked and which are not. 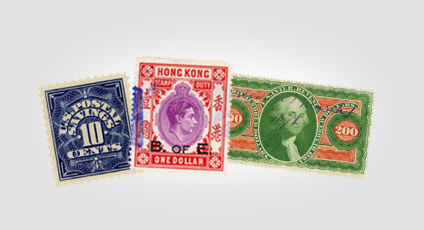 Information regarding revenue stamps issued in the last 50 years is scant. The listings included here include those that have been observed. Entire classifications not covered here are likely to exist. While the stamps may appear to be insignificant to those who reside in Puerto Rico nothing like this is in use by those of us who reside in the states! Any examples and insights into their use are always of interest. I welcome your feedback after reviewing the catalogue. In no way do I claim that it is perfect and could certainly use polishing by a good editor. I do, however, feel that it is a giant step forward in what is currently available to collectors. I am currently awaiting feedback from additional collectors who have large holdings and can confirm and/or refute many of the questions that I have regarding some issues. Once this feedback has been received I will start to assign catalog numbers and firm up the listings as I will have more confidence that large sections of certain troublesome issues have not been neglected.